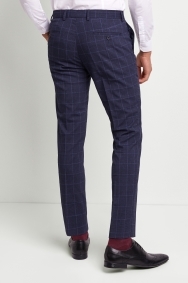 Maximise the use of your trousers. 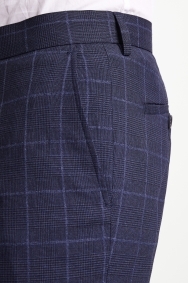 Thanks to the stretch in the material, these trousers will move with you so you feel comfortable at all times. Wear them to work and events with confidence as they’ll bounce back from creasing to look smart all day too. 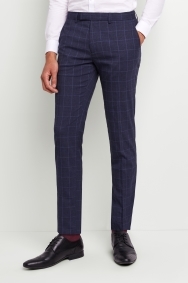 The boucle fabric, windowpane pattern and chiselling skinny fit all make sure you look on-trend. Wear with a simple white shirt for normal days at the office or dress up with a contrasting jacket when you need to look that bit smarter. Again as with the other pairs of trousers I bought they were an excellent purchase. Fits perfect on my partner, he loves anything Moss Bros. Fits perfect! Can’t fault it! Already became my favorite pants, perfect fit, as expected.